Available now! ICC Permit Tech Study Guide - here or ask an MBPTA Officer if there is one available from our Lending Library. A list of ICC's certified permit techs in MN is here. 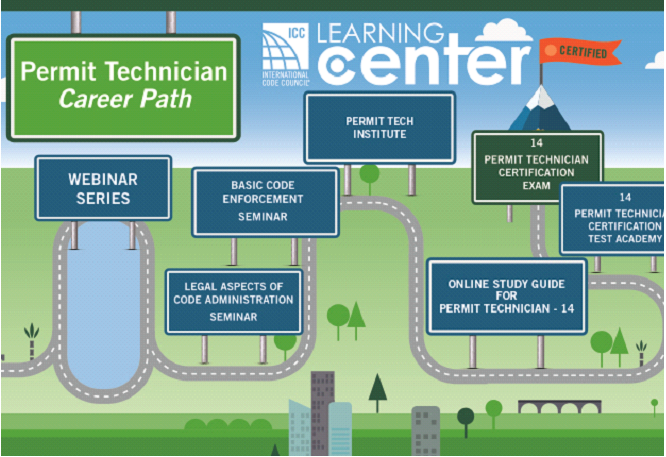 The Learning Center at ICC will be your training guide through the career path to becoming a certified Permit Technician. Drive straight through, take the scenic route, or make stops along the way. Enjoy Your Journey! All Institutes and Seminars have a VIRTUAL option for those who cannot travel for training.